CAPCOM’s Monster Hunter World is arguably the biggest game due to launch this month. However, as you should already know if you regularly check up our website, that’s only going to be the case on PlayStation 4 and Xbox One as Monster Hunter World for PC will only be available in Fall. Understandably, this news didn’t exactly make PC fans happy. CAPCOM’s Ryozo Tsujimoto tried to explain to PC Gamer why the team went along with this choice – you can find his statement below. 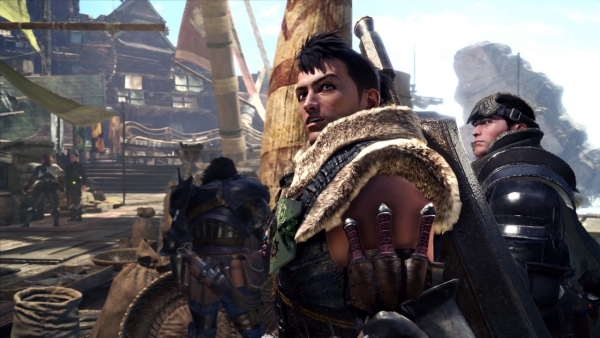 For the main Monster Hunter game, this is our first PC title and it’s something we want to make sure we get right. So rather than have it taking up resources during the console development and not it not being able to have our full attention on it. We want to get console out the door and then we’re going to take some extra time and try and get the PC version as good as possible. There’s extra work you need for PC as well. On console you use first party matchmaking, you just kind of plug into it, whether it’s PSN or Xbox Live, but on PC we’re going to have to work more to get our own matchmaking working. So, hopefully, PC users won’t mind waiting a little bit longer for us to bring you a really great optimised PC experience. While a more polished game is always welcome, one has to wonder why CAPCOM didn’t take this into account earlier in the development phase to make sure all the versions were more or less aligned for release dates. Regardless, if you’ve got a PlayStation 4 console there’s a third and final beta scheduled to be available from January 19th to January 22nd, though you’ll be able to pre-load (the file size is expected to be around 5.5GB) starting January 18th.